Stephen Cartwright is the Chief Executive Officer of the peak business organisation in NSW, the NSW Business Chamber. Stephen is also the Chief Executive Officer of Australian Business Solutions Group and a Director of Australian Business Lawyers, both wholly owned subsidiaries of the NSW Business Chamber. Stephen became a member of the World Chambers Federation Council in January 2011, a Director of the International Chamber of Commerce Australia in October 2011, a Director of the Australian Chamber of Commerce & Industry in November 2012 and a Director of Service NSW in May 2014. Stephen was formerly the Managing Director of listed recruitment firm Chandler Macleod Group Ltd (a company which he founded in 1995 and grew to over $1bn in annual sales) and prior to that was a founding partner of specialist workplace law firm Fisher Cartwright Berriman. Stephen is a proven business builder, and is a dynamic and visionary leader with exceptional people skills. 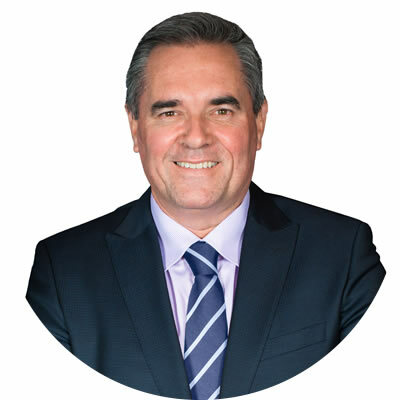 Stephen holds an Associate Diploma of Mining Engineering and a Bachelor of Laws, and is a member of the Australian Institute of Company Directors. Stephen resides on Sydney’s North Shore with his wife and five children and enjoys playing soccer, surfing and fishing.